The initiative has not been expanded to include other businesses yet, but could potentially apply to a new 595,000-square-foot, tent-like headquarters Google, BIG, and Heatherwick Studio are planning in the city. 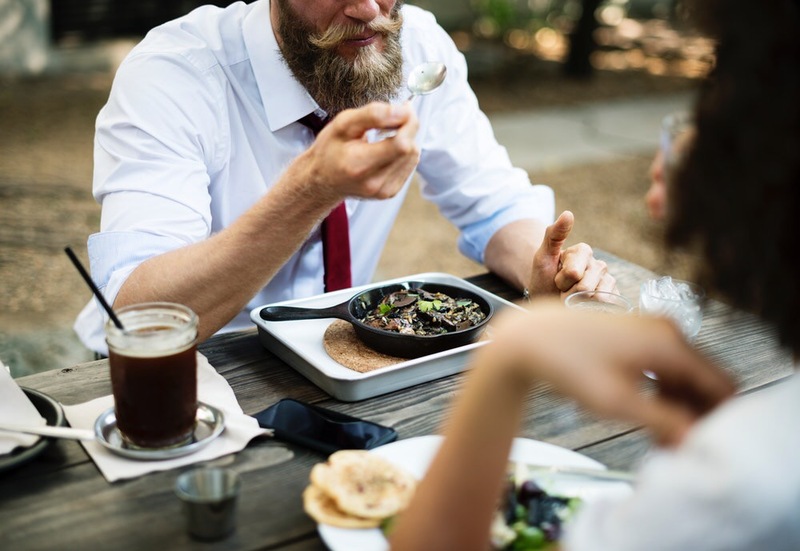 There, designers have proactively included plans for publicly-accessible cafes and dining areas that would be shared with Google employees. The San Francisco Board of Supervisors is due to take up its proposed ban later this year. Heatherwick Studios, Bjarke Ingels Group (BIG), and Hargreaves Jones Landscape Architecture have revealed new renderings and designs for the firms’ Google Charleston East campus in Mountain View, California. The renderings, shared via public documents made available by the municipality in advance of a public meeting scheduled for March 7th to discuss the plans and first reported by 9to5Google, showcase a distinctive, tent-shaped structure located on a large, landscaped site. The canopy is square-shaped in plan and rises gently out of the tree-lined site, rising to a peak of 111 feet above grade. The structure measures 576 feet on each side and is configured as a solar panel-clad canopy hung from a gridded field of steel support columns. The structure’s cascading roof structure is designed to be supported by structurally glazed clerestory walls that have been treated to minimize their impact on local bird populations and are designed to bring diffuse light into the office areas. The 595,000-square-foot, two-story structure is bisected by an interior 15,300-square-foot pedestrian path that turns into a small public square at the center of the building. That path is lined on one end with retail. Retail functions appear again surrounding the central square, which totals 10,000 square feet in all. These areas connect to an expansive, landscaped site that is mostly accessible to the general public and connects to the city’s expansive network of greenways and pedestrian paths known as the Green Loop. According to other documents shared by the municipality, the project will require the removal of 196 heritage trees from the site. As part of a California Environmental Quality Act compliance, those trees are being replaced with 392 new specimens. The publically-accessible ground floor of the structure and the site will be open to the public during daylight hours. The non-public areas along the ground floor will be laboratory spaces, quasi-public assembly areas, and shared employee leisure areas. The second floor of the structure will contain Google’s offices. The floorplates of both levels are punctured throughout with interior courtyards that will bring light into the work areas and also act as circulation cores. The project has yet to be approved by Mountain View officials. Once approved, the designers expect the project to be completed in roughly 30 months. 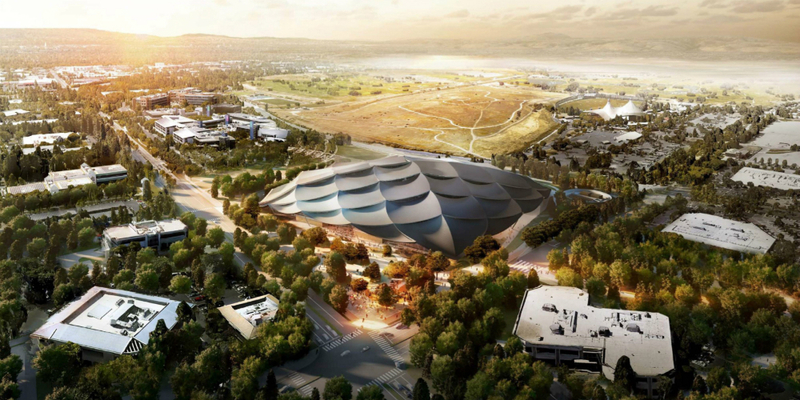 Mountain View, California's city council has decided that LinkedIn and not Google will be able to develop the majority of its North Bayshore area, leaving Google's ambitious plans by Bjarke Ingels and Thomas Heatherwick in jeopardy. According to Silicon Valley Business Journal, LinkedIn will be able to develop 1.4 million square feet of the 2.2 million square feet of the area's available commercial space, leaving Google with enough room for only one piece of its four-part plan. “I’m not sure how I make any of this economically viable with one building,” David Radcliffe, vice president of real estate and workplace services for Google, told the council. Google's four structures were to be draped in glass canopies and connected by walking trails. plazas, community gardens and oak groves. Now they may face the same fate as Google's former plans for a new Leed Platinum campus in Mountain View's Charleston East area by Ingenhoven Architects and SHoP Architects, which were proposed in 2012 and 2008, respectively. According to public documents, LinkedIn's plans (left), designed by Studios Architecture (the firm that, ironically, designed the building that currently serves as Google's main headquarters) call for six office buildings, a new theater, health club, and a retail street. LinkedIn's rectilinear site plan is much more conventional than Google's looping, twisting, and intertwining complex would have been. 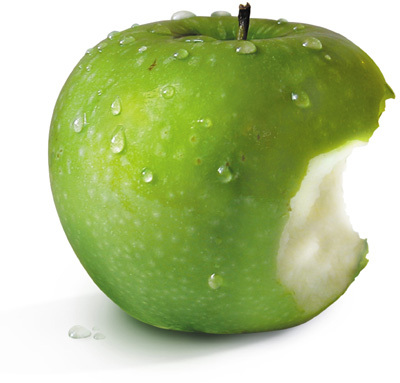 Most of the office buildings would surround a public space called "The Green." According to the Business Journal, the decision does not approve LinkedIn’s project, rather "it merely gives the company the green light to turn in formal plans." So this saga isn't over yet. Just two days ago, AN brought you word that Copenhagen- and New York–based Bjarke Ingels Group (BIG) and London-based Heatherwick Studio were teaming up to design the new headquarters for Google in Mountain View, California. At the time, it was only being reported that the complex would comprise "a series of canopylike buildings.” Well, now we know what those canopylike buildings will look like and a whole lot more. The Silicon Valley Business Journal first reported on the project design, publishing dramatic renderings and details on how the architects came up with their groundbreaking scheme. "Google—along with a team of prominent architects—has spent more than a year rethinking every assumption about office buildings, tech campuses, and how they relate to their neighborhoods," reported the newspaper. "The result? Four futuristic structures where basic building elements — floors, ceilings and walls — attach or detach from permanent steel frames, forming whole new workspaces of different sizes. With help from small cranes and robots ("crabots"), interiors will transform in hours, rather than months." Hear that? Crabots! A spokesperson at BIG declined to comment further on the design. http://youtu.be/z3v4rIG8kQA These four structures will be draped in glass canopies and are scaled as entire city blocks. The overall campus would also reportedly "see wide swaths of land returned to nature, criss-crossed by walking trails and dotted by plazas, community gardens and oak groves." There would even be a walking path that cuts through a building "letting outsiders inside the Google hive." Joining BIG and Heatherwick on this massive project is the San Francisco–based CMG Landscape Architecture, which is working with Gehry on the Facebook campus. "Today we’re submitting a plan to redevelop four sites—places where we already have offices but hope to significantly increase our square footage—to the Mountain View City Council," David Radcliffe, Google's Real Estate VP writes. 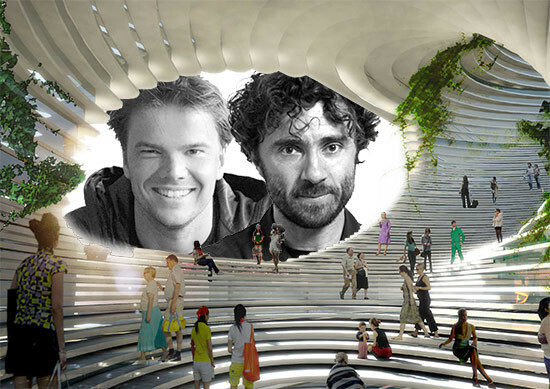 "It’s the first time we'll design and build offices from scratch and we hope these plans by Bjarke Ingels at BIG and Thomas Heatherwick at Heatherwick Studio will lead to a better way of working." Google further unveiled the project on its blog this morning, revealing the video above. "The idea is simple. Instead of constructing immoveable concrete buildings, we’ll create lightweight block-like structures which can be moved around easily as we invest in new product areas," Radcliffe said on the blog. The project totals 3.4 million square feet and includes four sites. Google reportedly wants to have the first of these sites, known as "The Landing," completed by 2020. But before construction can start, the city must approve Google's hugely ambitious plans. 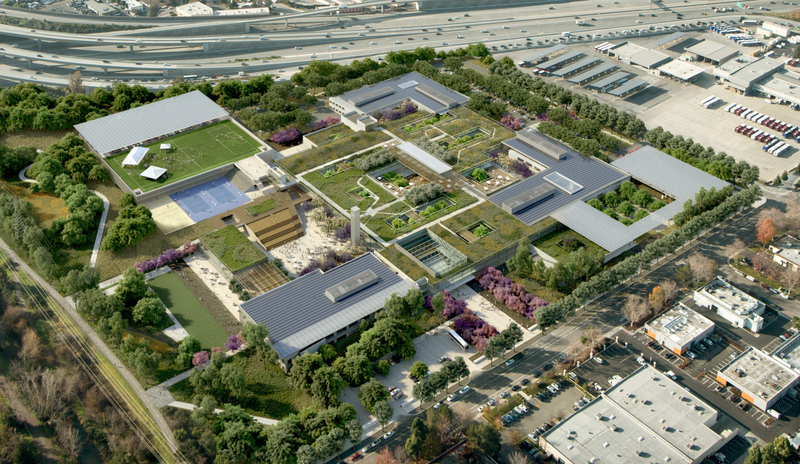 Will Google’s new campus outdo Apple’s?